There are currently no Franklin Benjamin notable alumni listed. Be the first to add an FBHS famous alumni. This section is to remember Franklin Benjamin High alumni who have passed away. Alumni from Franklin Benjamin High can use this site to get in touch with old friends from their high school in PA.	We also encourage you to keep up to date on news and reconnect with Franklin Benjamin High School alumni. You can also find out what other graduates are doing now, share memories with other alumn, upload pictures from Franklin Benjamin and find other alumni. Colette Jones has someone searching for them. Mark Burton has someone searching for them. Angela Cambell has someone searching for them. Ralph Mancuso has someone searching for them. Darryl Watson updated their profile picture. Darryl Watson added photos to their personal photo gallery. Darryl Watson registered as a FBHS alumni. Judy Taylor updated their profile picture. Judy Taylor added photos to their personal photo gallery. Judy Taylor registered as a FBHS alumni. Denise Thomas updated her profile picture. Denise Thomas added photos to their personal photo gallery. Denise Thomas registered as a FBHS Class of 1998 alumni. Tiffany Davis-Nelson registered as a FBHS alumni. Tiffany Davis-Nelson updated her profile picture. Tiffany Davis-Nelson added photos to their personal photo gallery. Regina Henderson Mayden added photos to their personal photo gallery. 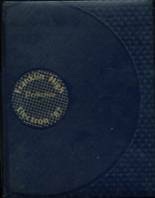 Regina Henderson Mayden requested a FBHS yearbook from 2001. Regina Henderson Mayden registered as a FBHS Class of 2001 alumni. Chris Williams requested a FBHS yearbook from 1967. Chris Williams registered as a FBHS Class of 1967 alumni. Donte McNeill requested a FBHS yearbook from 2001. Donte McNeill registered as a FBHS Class of 2001 alumni. 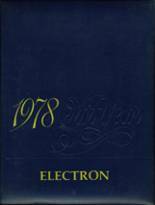 Vernon Pierce requested a FBHS yearbook from 1961. Vernon Pierce registered as a FBHS Class of 1961 alumni.